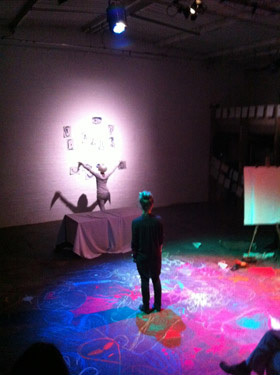 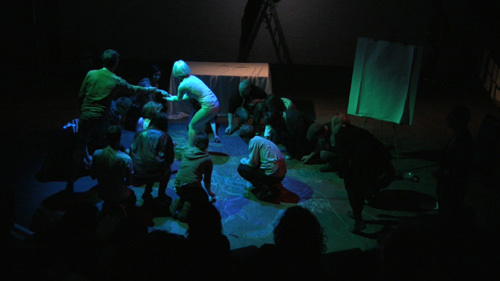 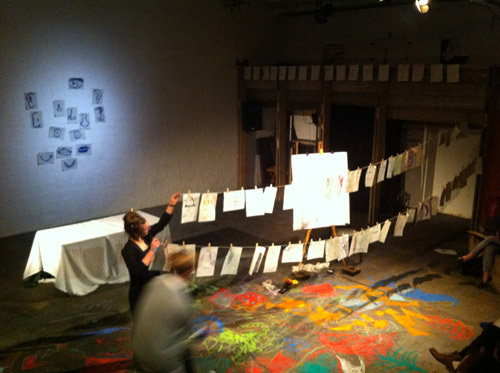 Performed at The Yard, Hackney Wick, Drawing Play unexpectedly fuses the art forms of drawing and theatre together, and is a play where the audience draw as well as watch the action. 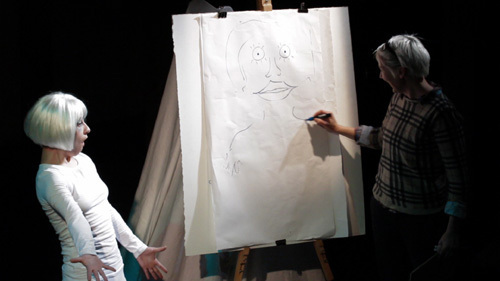 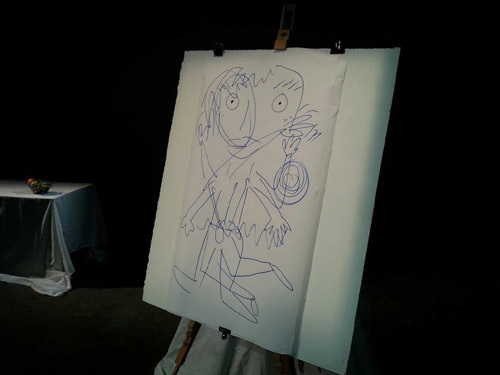 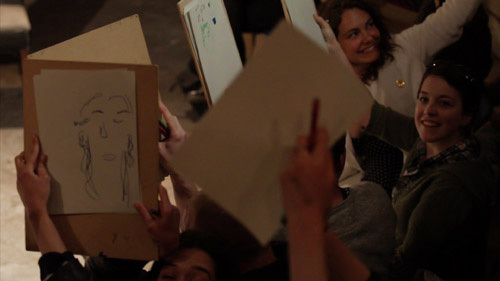 The premise of the play is the audience turning up to an art class that begins to go magically wrong. 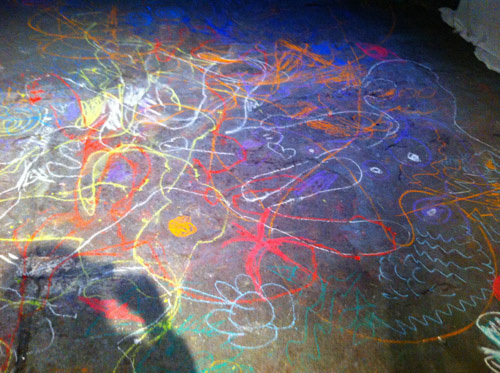 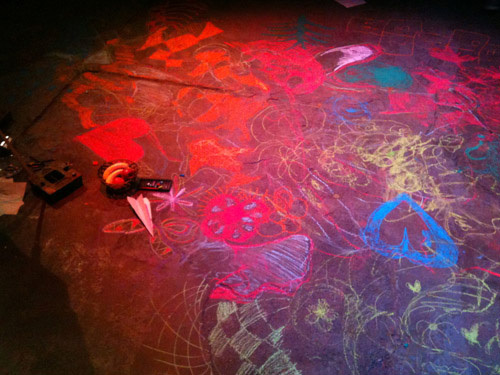 The audience’s drawings influence the action that unfolds before them and by the end of the show the entire theatre space has become the audience’s canvas.